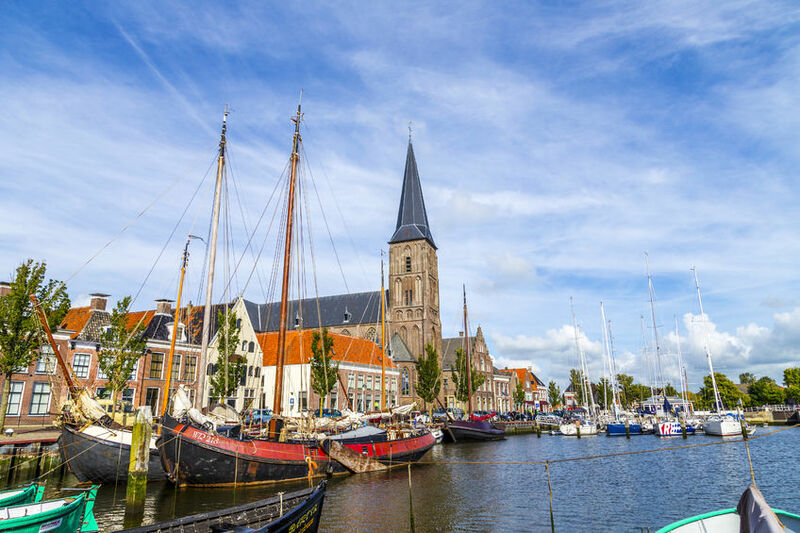 Harlingen is one of the oldest of the Frisian eleven cities and the only port city. In the cosy city centre are approx. 500 monumental buildings. You can always get shopping in the center, eat tasty fish in one of the many restaurants. Stroll along the Marina and port or relax on the ferry-boulevard. Here and also on the beach pavilion overlooking the Wadden Sea with the sun sinking into the sea, you will see the ferries, fishing boats, yachts and Clippers come and go. De The “Stienen man” watches over the dike. On a clear day you can see Vlieland and Terschelling – in the evening by the light of the lighthouses. On Harlingen TV you can see more interesting movies about Harlingen. The VVV / tourist Information Harlingen can tell you more about this particular city.